The time for tech forums is over, and many major tech corporations have released their new products for consumers to enjoy. 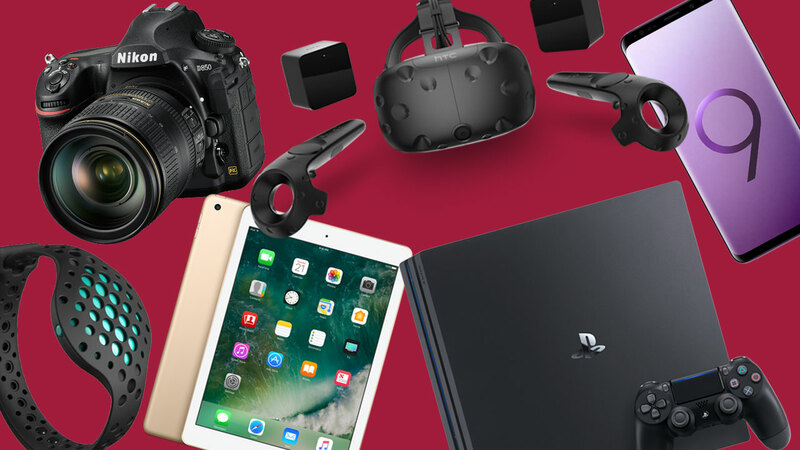 If you are having a hard time choosing what gadgets to buy, here is a list of new gadgets that will surely keep you relevant among your techy peers. Top of the line phones only give you a battery of 4000-4500mAh, so imagine how much power you can have when this power bank has 10,000 mAh of power to offer. Not only does this power bank offer two USB ports to connect your cables into, but it boasts a Type-C port. This means that you can charge your phone in record speeds. This also means that the Stuff Cool is one of the only power banks to have a Type-C input/output. This product is available to buy in online stores as well as a few stores like Croma. This power bank costs around $37, with additional fees if you want a USB-C cable with your purchase. Xiaomi, the Note 7 Pro’s manufacturer and producer, has seen a huge rise in sales recently. The company is well-known for selling phones with high-end features at a cheaper cost, and this phone is no different. With a 6.3-inch full HD+ dot notch display, the Note 7 Pro has screens that can rival a lot of flagship smartphones out there. The dual camera set-up on the back has resolutions of 48MP and 5MP, with a 13 MP selfie camera located at the front. It also has an internal storage of 64GB, but that could also be extended up to 256GB with the help of a micro SD card. It costs around $200. Saying goodbye to wires, the Sennheiser Momentum True Wireless Earbuds claim to give its users every breath, note and beat in studio quality. However, sound quality has never been a problem when it comes to Sennheiser. The earphones are made to fit comfortably in your ears, and the music will pause the moment you pull out one earbud. They give you control at your fingertips, and you can even chat with your voice assistant through the earbuds themselves. Sennheiser promises that the earphones will give you four hours of playback time with one charge, and the charging case elevates that battery life to up to 12 hours. The earbuds are also splash proof. They are priced at around $360. Of course, this would not be a gadget list without an Apple product. Apple’s iPad Mini received an upgrade for the first time in four years. In this release, it features a 7.9-inch retina display screen, and weigh only 300 grams. Apple also claimed that the battery will last for 10 hours, with the iPad being powered by the A12 bionic chip. This ensures that heavy apps will run smoothly on this compact but powerful tablet. However, what’s new is that the iPad mini will also be compatible with the first generation of the Apple pencil, which allows consumers to draw or take notes. It runs on iOS 12, has a 7MP front camera, and an 8MP rear camera. The iPad Mini is not only portable, but it also carries the capability of running heavy apps like PUBG and Photoshop. Prices for this starts at $399. If you’re looking for low-cost, sturdy, yet powerful Bluetooth speaker, this is the one for you. The Sound One drum speaker provides high definition stereo sound and maintains sound clarity at full volume. It can connect to a device for up to 33 feet and gives users a battery life of six to eight hours. It is water-resistant, making it perfect for rainy days and pool parties. This Sound One speaker only costs $30.